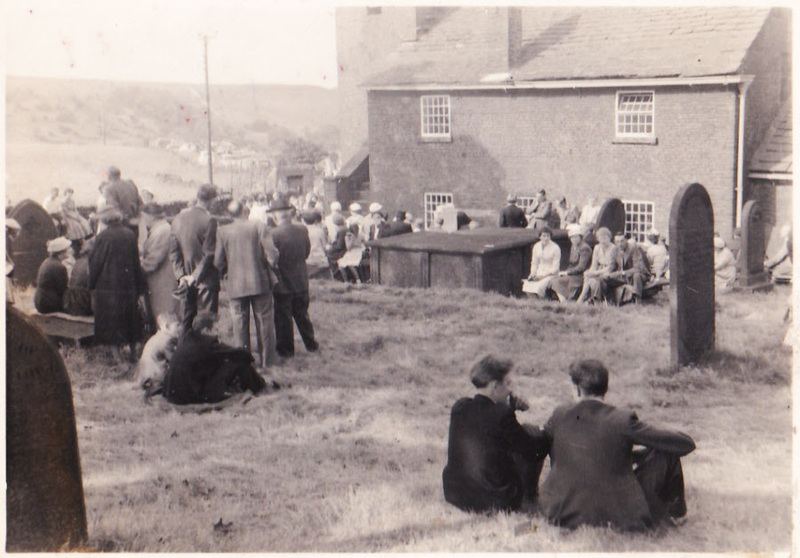 The photo id for this photograph is 1329, in the Kettleshulme album. I have walked from Kettleshulme with my mother to the harvest at Jenkin many times. There used to be too many people to fit inside the little Chapel so the service was held outside in the grave yard.